Have bangs? We'll trim them for free. 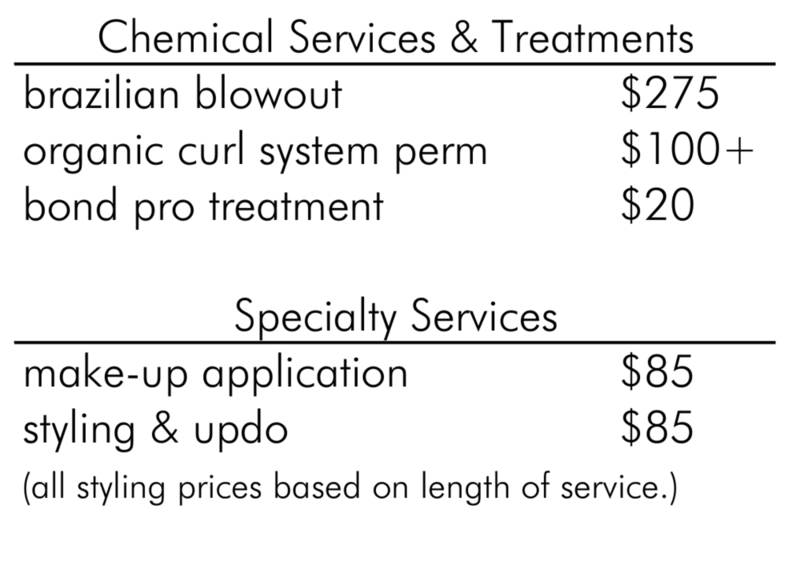 Cash or checks for services - Credit for products only.